Includes 30pcs Jumper Wires, Breadboard and Many Electronic Parts! 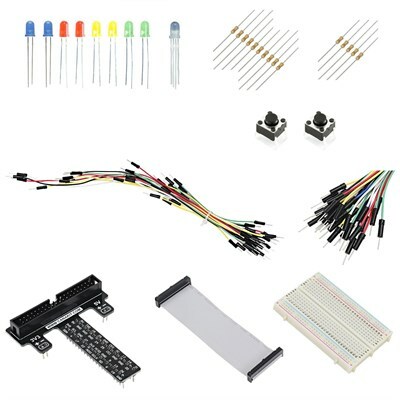 An exclusive bundle from CanaKit that includes the parts you need to start using the GPIO connection to start creating fun electronic projects with your Raspberry Pi. This board is fully assembled and therefore soldering is not required.